One of the biggest challenges of entrepreneurship is feeling alone. 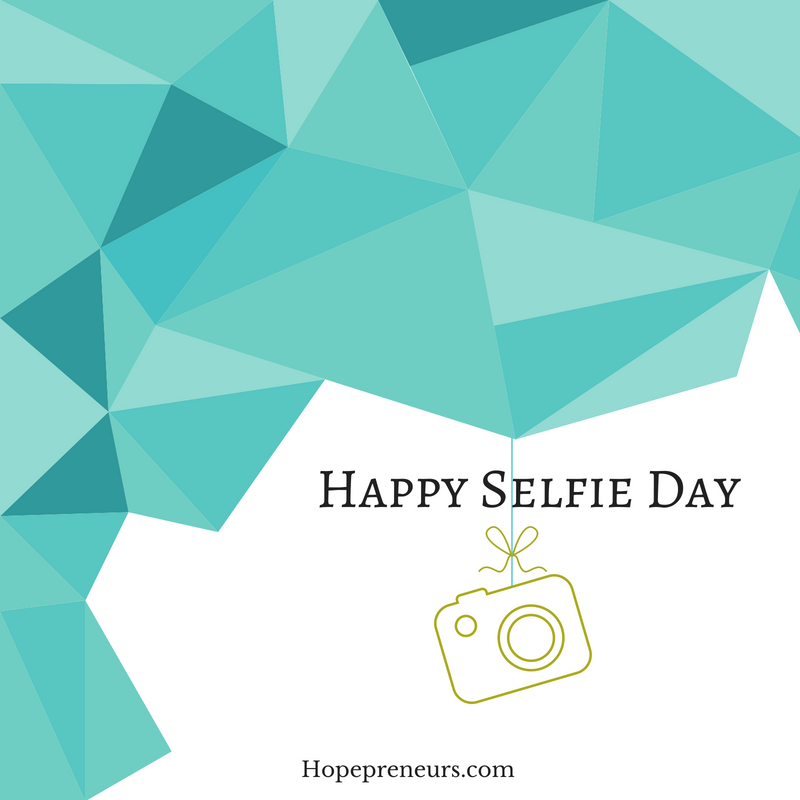 I want to challenge you today to do more than take a selfie. Today is a great opportunity to connect and reward your customers. Get out to see as many of your customers as you can and take a selfie with them. Pull up some selfies from the past and honor those who are there with you. As you take the time to take selfies remember those who are most important in their lives by sending a text or calling them. Post your selfies on your social media and ask others to do the same. What ideas are you going to implement today and the rest of the summer? You are never alone when you reach out to help others. The rewards are amazing. The lifestyle you are building is your own. Keep up the good work. Implement new ideas that make others the hero. This is the week when a lot of people take off work because they are done for the year. As a Hopepreneur you need to think differently. You are not an employee. Use the gift of your time wisely to prepare for the greatness ahead in the coming year. This is a week to reset yourself mentally for a great new year. Please share how it goes. Successful people exercise consistently. My favorite way to stay in shape is walking. What’s yours? Most of you know what to do but can find excuses not to do certain things even when you know it can add years to your life. What are your excuses for not exercising consistently? My top excise was lack of time so I do it first thing in the morning. The second one has been lack of energy. That one has been solved because as I walk every day I have so much more energy. Walking gets me outside where I can be on the lookout for amazing hope rays on sunny days, sunrises when I’m early and sunsets when I am walking in the evening. Besides enjoying the beauty of creation, I get more vitamin D.
Walking protects my joints and strengthens my ligaments without excessive soreness. Walking costs nothing other than time. Walking is fun to do with others as it allows me to talk or pray with my walking partner. Walking is strength bearing so it helps my body build stronger bones. Walking strengthens my heart and firms my muscles. Walking clears my mind and protects me from mental decline. Walking lowers the risk of diseases like diabetes and several forms of cancer. Walking improves my mood because it releases endorphins. Walking increases my energy level. Walking improves circulation by increasing heart rate and lowering blood pressure. Walking helps me maintain or lose weight. Walking adds years to my life so I live longer and enjoy those years more than thoseo who do not exercise. You make time to do what you enjoy doing. When you focus on the benefits the exercise provides your motivation increases as well. 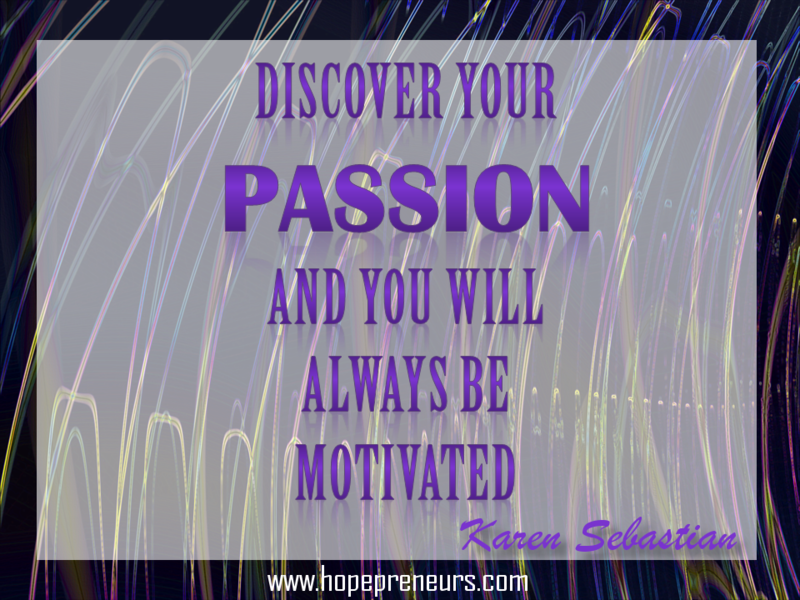 Karen Sebastian is an author, blogger, corporate trainer and gifted speakerwho transparently shares the hope she has found in the darkest times of her life. She is a seasoned entrepreneur who founded HOPEpreneurs, a consulting firm dedicated to helping women succeed personally and professionally. Karen is known as The Hope Lady because she takes every opportunity to inspire hope by sharing her rich life experiences with others – engaging them in adventurous discoveries of the beauty of hope in a dark, cloudy world. Today is another foodie national holiday! Are you ready for this one? National Pumpkin Cheesecake Day. Now I can certainly get on board with that one – for sure! Here I go sharing another ridiculous national holiday to celebrate the fact that it is fall, it is Friday and it is fun! What would attract them most? I have noticed the increase of pictures in menus because the visual appeal of the food items can certainly make our mouths water. 2. What are the good experiences they have had before? Find ways to capture feedback from our customers and share it freely on Social Media and other ways. 3. What’s something extra that you offer that your competition does not? This does not have to complicated or expensive. It’s the small things that matter the most. Please join the discussion to answer these questions. It will be fun to see what you are doing. While you are pondering these questions go order a slice of Pumpkin Cheesecake. After all, it’s your duty since this a National Holiday. Check it out! I didn’t make this one up. What’s your favorite cupcake? I have to say that mine is chocolate. As I was looking at the list of National Holidays I stumbled across this one. No one knows for sure how this holiday started but it sure sounds like a fun one to honor! So set as your #TuesdayMotivation to reward yourself with a chocolate cupcake or whatever flavor is your favorite. Make sure it’s a task you have been putting off or dreading.